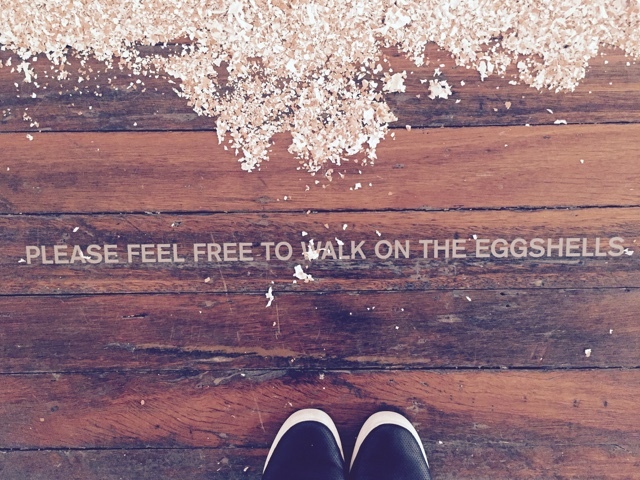 'Please feel free to walk on the eggshells', I was really happy to see a lot of audiences participated during the exhibition. 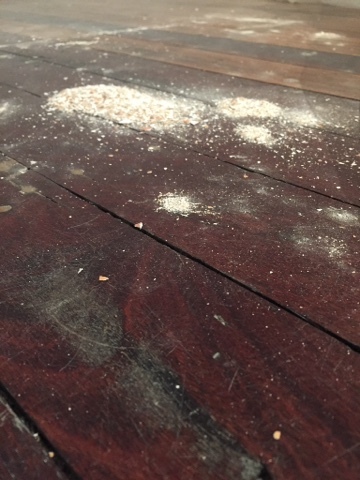 This is a long process work. 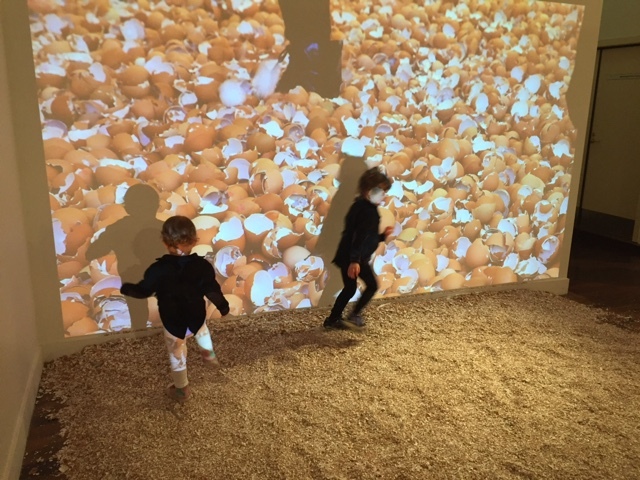 Those thousands and thousands of eggshells were collected over two years from bakery, cafes and friends. 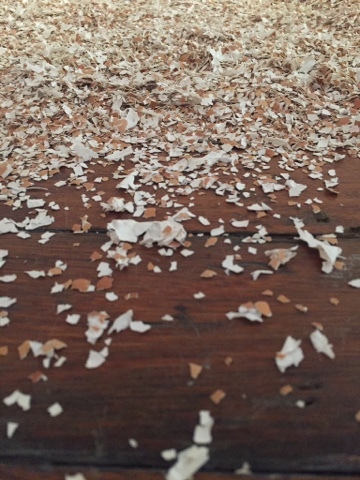 The cleaning process of the eggshells is meditative but painful. 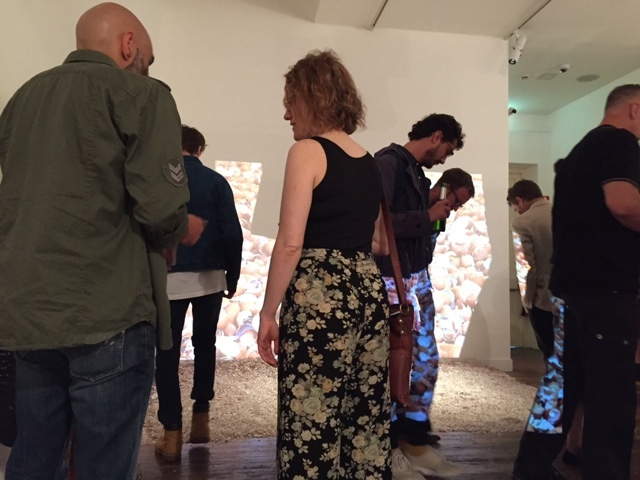 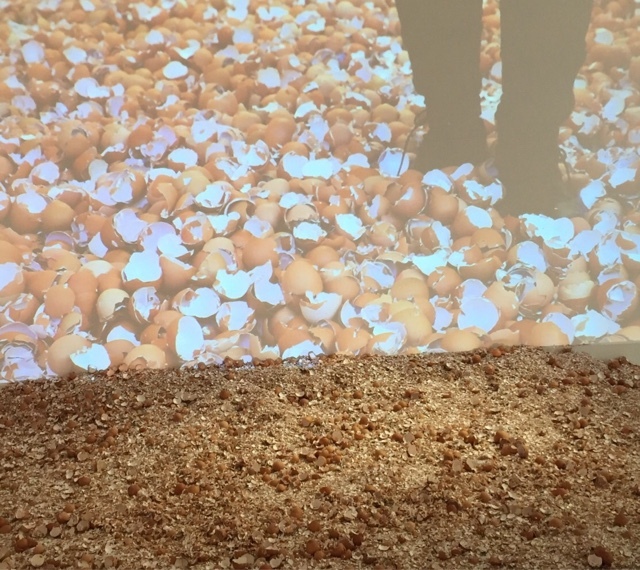 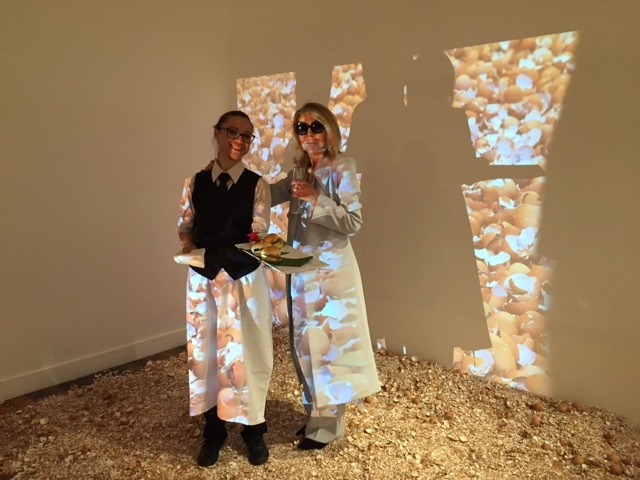 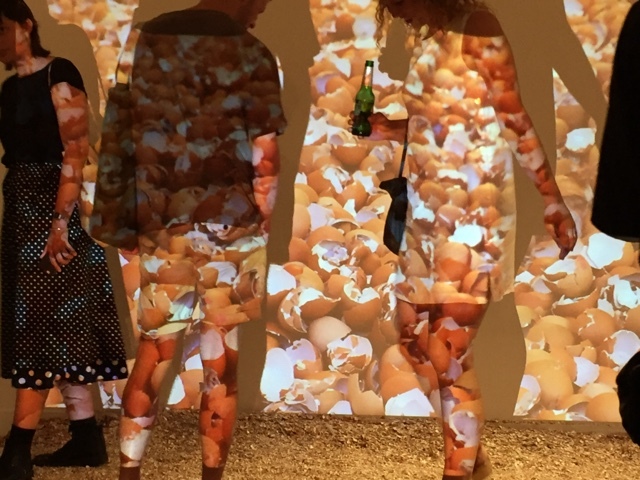 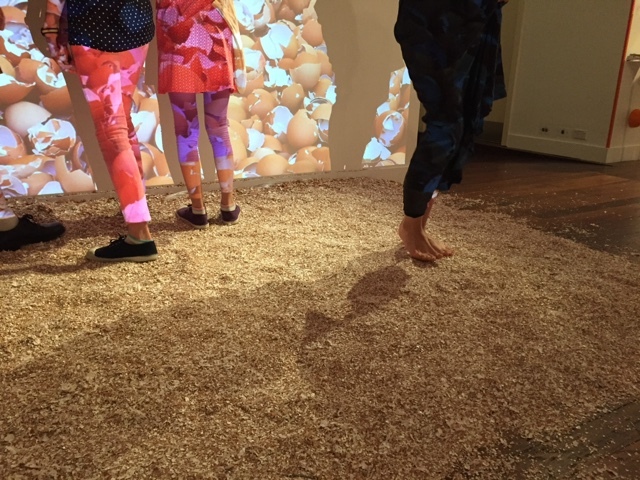 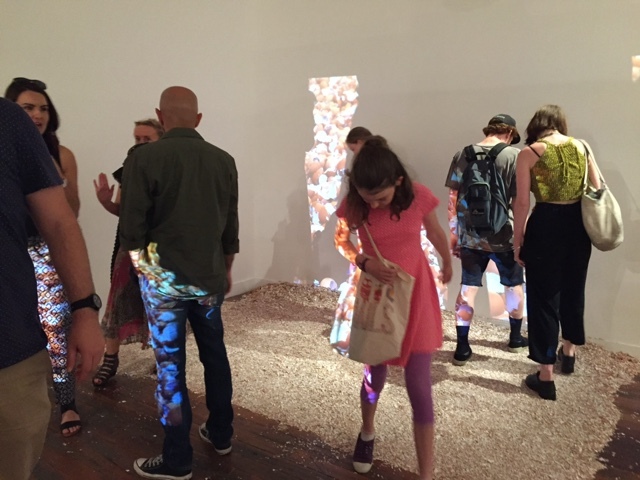 By the end of the exhibition, all the eggshells got trampling into pieces.